Do you have Mismatched Marriages Yog in your Horoscope? Why she was married to a person who was less educated than her. She said that irrespective of being a postgraduate she was married to a driver who had not even cleared his S.S.C exams. No matter if it’s an mismatched marriage related to education, carrier, age difference or physical differences, it is always traumatic. Especially the pain is more if the person getting married does not know what is in store for them. Recently a 33 year old girl could not get married as she was a Manglik (Under influence of Mars) so she secretly got married to a boy of 23 years old. Someday because of having an elder wife that boy will get a feeling that this is not a perfect marriage. If some teacher marries the student or two boys marry each other, if there is vast difference in age or the wife earns more than the husband. If it’s difference in complexion or one of the partners good looking and the other is ugly. If is about being uneducated or about being rich or poor all these scenarios are part of Mismatched marriage (Unmatched Marriage). People are not aware that this kind of marriage is the return of their deeds from God and no one can be blamed for this. Everyone has a point of view. What I think that it is all destined as per your deeds and should be accepted as God willing. However, I have received many queries in the past few days about this. Some people thought that if they would know about this before marriage then there won’t fall into an Mismatched marriage. This is your way of thinking. But what I think is that disconnected marriages happen when either one partner is a Manglik or the other doesn’t believe in horoscope matching and decides to marry. Unharmonious marriage happens when the person is aware of being Manglik and that the other person is not or if someone cheats and hides their reality. There is a possibility that if you are aware about your horoscope you can get alert while choosing a life partner and get rid of all the upcoming problems. With this hope mentioned below are such marriage combinations that are easily seen in one’s horoscope. If in your horoscope your Ascendant is exceptionally strong than your partner, there is possibility of vast difference between you and your partner. If in the man’s horoscope the Venus is weakest (Neech Rashi) and the lord of seventh house is the enemy of Venus for example Sun, Mars or Moon then you will have an unmatched marriage. In this case there will be lot of difference between you and your wife. If there is vision of Mars on Venus and the seventh house then there is a chance of one of the partner to be physically challenged. 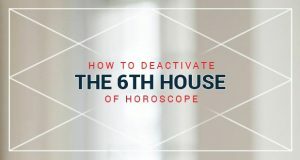 If Venus or Jupiter is seen by Mars or Saturn and if there is no favorable planet in the seventh house then it will cause an unmatched marriage. In this case either of the partners can get obesity. If Jupiter is in Ascendant of Taurus, Gemini, Virgo and is under the influence of Saturn then after marriage the person gets too shapeless. Apart from this is Venus is favorable in your partner’s horoscope then there is major difference seen in the couple. If Saturn is in Ascendant and Jupiter is in seventh house there is too much of age difference between the couple. Dragon’s head (Rahu) and dragon’s tail (Ketu) are in Ascendant and in the seventh house and if Saturn vision is on the Ascendant or seventh house then there is difference in looks of the couple one is beautiful and other is ugly. Ascendant is your own body and seventh house indicates your husband or wife. If the question is about beauty then everyone knows that Dragon’s head Rahu and Saturn affects beauty. Jupiter leads to obesity. Weak Venus leads to absence of beauty and attraction. Mars leads to physical defect and dragon’s head hides the reality and shows you what you like. This is the reason for the above mentioned things. And if you feel the same is happening with you then your queries related to your horoscope are most welcome. If I will be a violator in your unmatched marriage then maybe this is also God’s Will.